I’ve said it before and I will say it again anyone who knows me knows that the way to my heart is brunch on the weekends. Most weekends my girlfriends and I meet for brunch to catch up and talk about life. Theres something about enjoying a casual meal with friends talking, and laughing. I love it!! 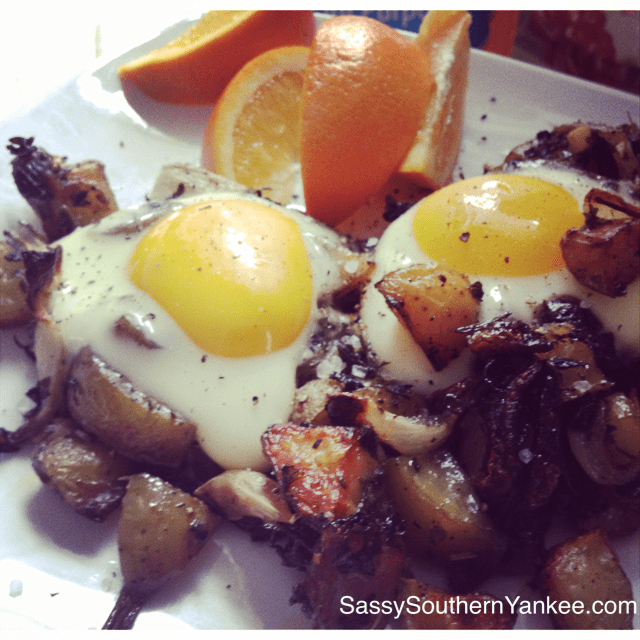 Enough of my rambling and off to this simple, yet delicious recipe! I hope you enjoy it this weekend! In a large cast iron skillet or baking dish place all of the ingredients into a large bowl. toss with your hands until all the potatoes are evenly coated. You can also do this in the skillet if you don’t want to dirty a bowl. Bake in the oven until the potatoes are tender about 25 min. I like mine crispy, so I let them go a bit longer. You can stir the mixture about every 10 min to ensure even browning. When the potatoes are almost done to your liking crack the eggs directly on top of the potato mixture. Return the skillet back to the oven for about 10 min or until the eggs are cooked to your desired doneness. 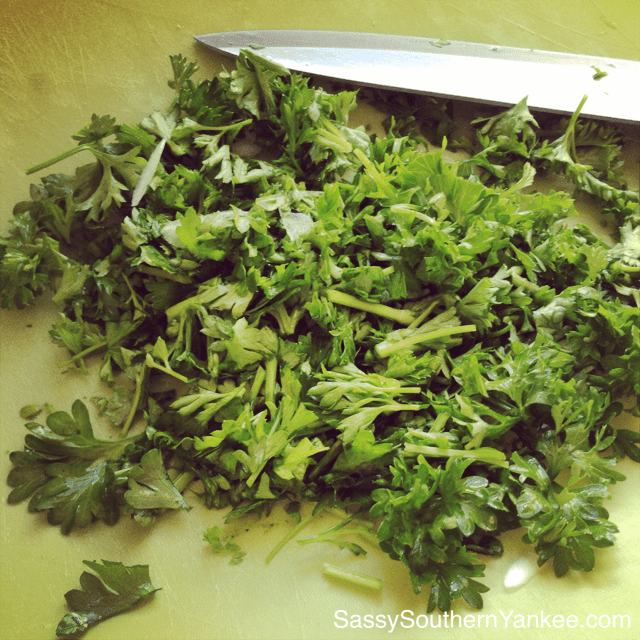 Sprinkle with a bit of fresh parsley. Serve with your favorite fruit and a side of hot sauce, enjoy! 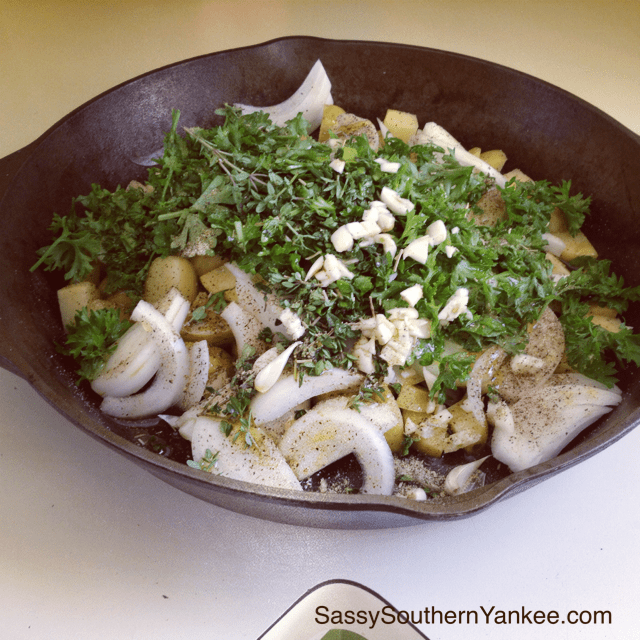 In a large cast iron skillet or baking dish place all of the ingredients into a large bowl. toss with your hands until all the potatoes are evenly coated. You can also do this in the skillet if you don't want to dirty a bowl. When the potatoes are almost done to your liking crack the eggs directly on top of the potato mixture. Return the skillet back to the oven for about 10 min or until the eggs are cooked to your desired doneness. 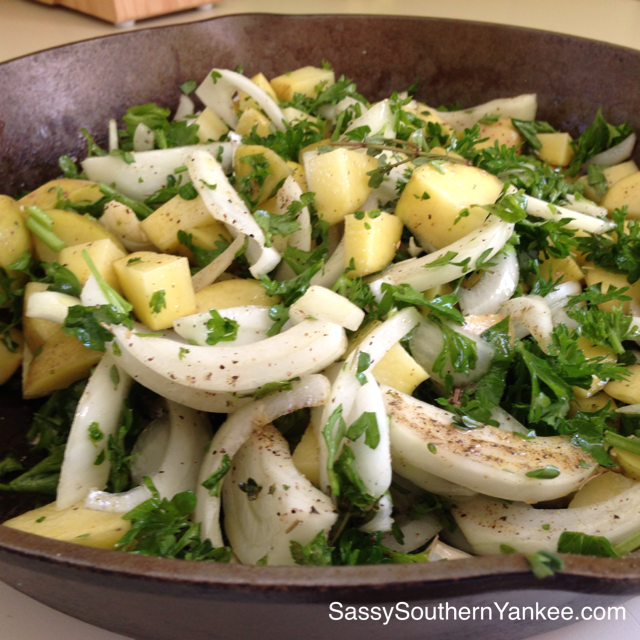 This entry was posted in Breakfast and tagged Egg, olive oil, Onions, Parsley, Potato.